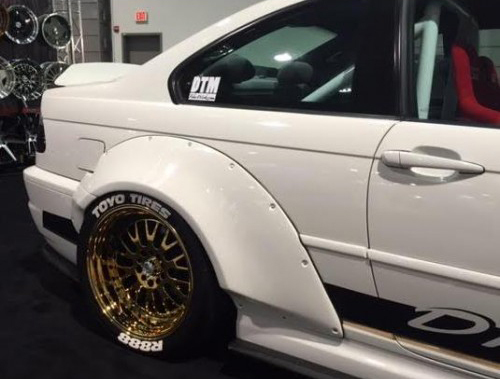 Get that wide look you've always wanted with these Rivet On Fenders by DTM. Tired of looking like every other M3 on the road? 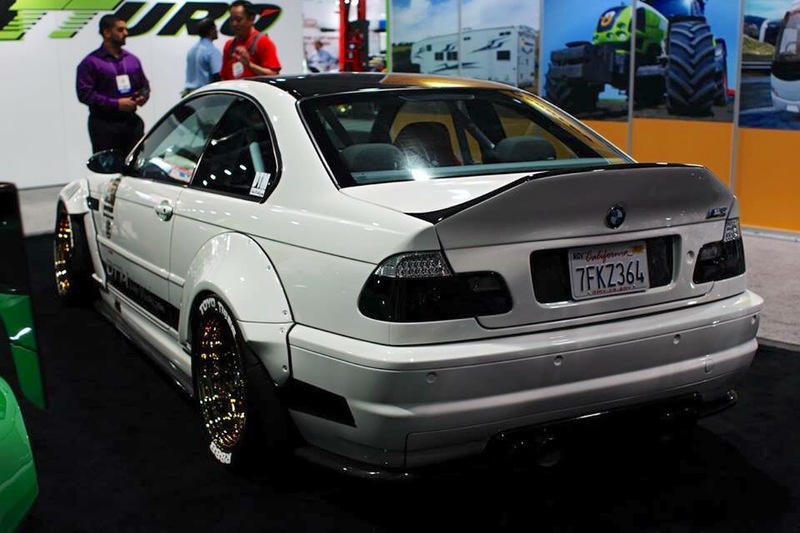 Stand out with this Widebody Kit from DTM! This kit will make your car a show stopper. *Please note: Cars in photos are highly modified show vehicles and may include molding or adding to the original piece. No other parts are included unless specified. DTMFiberWerks FRP combines fiberglass and flex resins to result in a flexible and durable product. This combination holds a much higher durability rate than average fiberglass and boasts a 75% reduced damage rate. 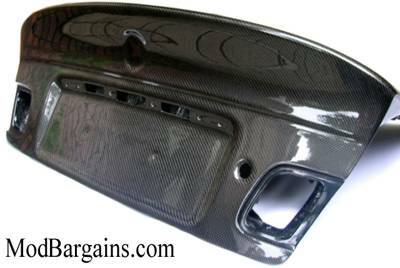 This FRP product features a white gelcoat finish that allows you to recieve a premium kit for a great price! These flares allow for 2" wider tire width from the standard body. This kit includes: 2 Rivet On Front Fender Flares, 2 Rivet On Front Bumper Caps, 2 Rivet On Rear Fender Flares, and 2 Rivet On Rear Bumper Caps. 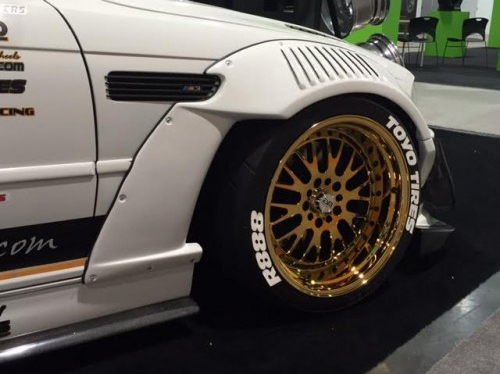 Want more details on these DTM Rivet On Fenders?